Vincenzo Ricardo. If that name does not mean much to you, you are not alone. It does not seem to have meant much to anyone else except, perhaps, him who bore it. In fact it was not even his name. His real name was Vincenzo Riccardi, and nobody seemed to get it right after the sensational discovery of his mummified body in Southampton, New York. He had been dead for 13 months, but his television was still on, and his body was propped up in a chair in front of it. (1) The television was his only companion, and though it had much to tell him, it did not care whether he lived or died. 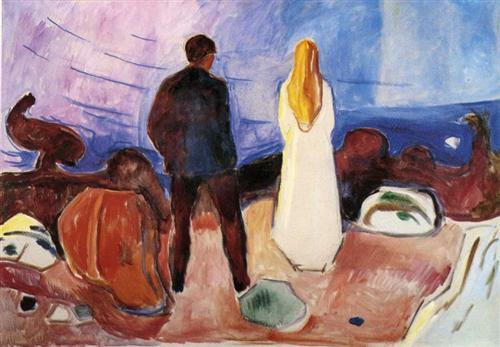 Edvard Munch, The Lonely Ones, oil on canvas, 1935. This is indeed a tragic and extreme tale, but it makes a powerful statement about how cold and lonely life can be for millions across the globe. Even those who seem to have all of their ducks in a row are not immune to the pangs of loneliness and alienation. The Christian story attests that alienation affects us at three different levels. We are alienated from ourselves, from others, and most significantly, we are alienated from God. That is the reality in which we exist. The restoration process involves all three dimensions, but it begins with a proper relationship with God. We cannot get along with ourselves or with others until we are properly related to God. The good news of the Christian gospel is that abundant restoration is available to all who want it. This process is well illustrated in an encounter Jesus had with another deeply wounded man who lived in a cemetery. Relatives, and perhaps friends, had tried unsuccessfully to bind him with iron chains to keep him home. He preferred to live among the tombs (alienation from others), cutting himself with stones, his identity concealed in his new name—"Legion" (alienation from self). His mind and body were hopelessly enslaved by Satan's agents, and his life was no longer his own (alienation from God). It took an encounter with Jesus for the man to be fully restored, "dressed and in his right mind" (Mark 5:15). Only then could he follow Jesus's command to go back to his family and tell them what God had done for him. The restoration process remains the same today. Until we are properly related to God, our true identity and potential will always elude us. No virtual reality or gadget can even begin to address the problem, for they only give back to us what we have put into them. They are like the message in a bottle which a castaway on a remote island excitedly received, only to realize that it was a cry for help that he himself had sent out months before. As Augustine prayed, "You have made us for Yourself, and our hearts are restless until they find their rest in You." We are finite creatures, created for a relationship with an Infinite Being, and no finite substitute can ever meet our deepest needs. Trying to meet our real needs without Christ is like trying to satisfy our thirst with salty water: the more we drink, the thirstier we become. This is a sure path to various sorts of addictions. But when we turn toward the Bread of Life who offers himself up, calling each one of us to the table by name, loneliness is countered with the hope of embrace. We become members of God's extended family. With Abraham, we look "forward to the city with foundations whose architect and builder is God" (Hebrews 11:10). Day by day, we learn to trust God as we travel with others along a heavily trodden path that never disappoints. Friends and relatives may desert us, but we are never alone. We may grieve and lament, but never like those without hope. We have peace and joy within, and even in our own hour of need, others can still find their way to God through us. The alternative is a crippling sense of isolation and alienation within a worldly system whose offerings, however sophisticated and well-intentioned, can never arouse us from spiritual death. J.M. 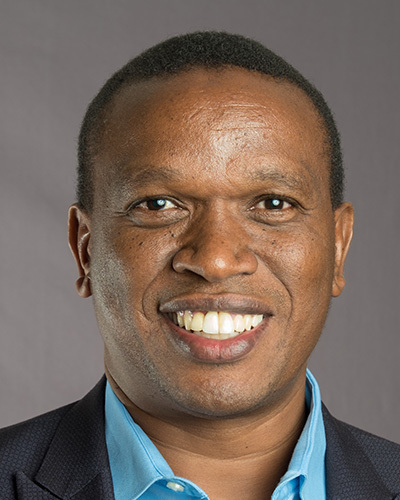 Njoroge is a member of the speaking team at Ravi Zacharias International Ministries in Nairobi, Kenya. (1) Erika Hayasaki, "He Died in Vast Isolation," LA Times, March 31, 2007.